Ever since we launched the product version of Travis CI, we’ve received numerous requests by students to support them in their course work. GitHub had spearheaded the idea of supporting education and academia with discounts on private repositories. 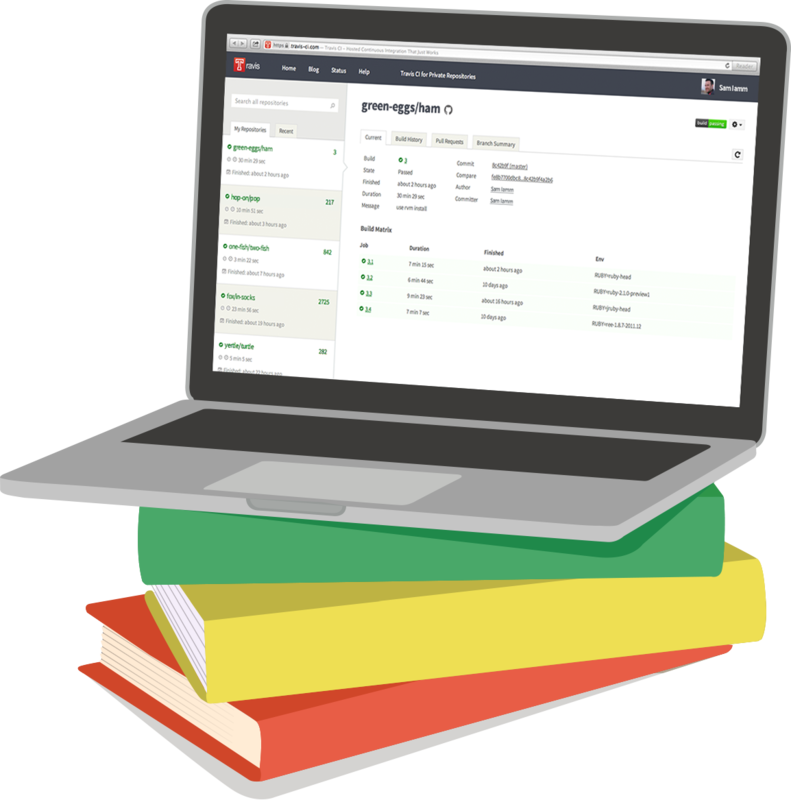 Today we’re happy to announce our education program to offer free continuous integration to students as part of the GitHub Student Developer Pack! We’re joining a lineup of fantastic companies offering their services to students for free, including DNSimple, DigitalOcean, Stripe and SendGrid. We want to make sure students have the best tools available for your course work and be able to use them for free to become a better software developer, systems administrator, scientist, or writer (yup, you can use Travis CI for any of these!). You can find all the details on GitHub’s Student Developer Pack page and on our own page for the education program at education.travis-ci.com. As a student, simply log in with GitHub. There’s nothing special you need to do. If you’re part of GitHub’s education program, we detect that automatically and put you on our education plan. What’s more, as a student your builds are running on our new Docker-based setup, which we’ll be slowly rolling out for general availability over the next couple of months. Note that the Docker-setup currently doesn’t support any commands requiring sudo. More details on this soon!